Businesses and personality entrepreneurs need to be confident in who they are as a brand. Connecting with your ideal client, customer, patient isn't chance, it's making sure the content you put out is an accurate representation of you and your brand. Whether you are a small business, a life coach, job coach, business coach, solopreneur, or other kind of personality entrepreneur, your brand is bigger than you. 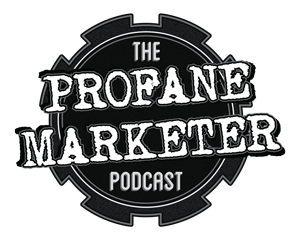 At The Profane Marketer, we cover all things marketing and business development for small businesses and personality entrepreneurs. When you're shifting gears from funding to market, it's a good time to think about how your brand is presenting itself. In this quick episode, Jensie covers what needs to be augmented on your website to make the best impression going forward. Want to get the checklist? Visit getslanted.net/checklist to get this valuable resource for free! You've been using sales decks and talking about what you do and how you do it. When it comes to customers, you need less about the how you do it and more about how you can help them. Learn more in this quick episode. Don't have the checklist yet? Get it here: www.getslanted.net/checklist. In the second episode of our series on content, Jensie talks about how after your goals are set, you can dig into the strategies of how to reach your goals. What are the marketing strategies you should be using? How can you keep track of them? Learn more in today's episode. Join Jensie in a new series launching this episode! She's covering 5 ways to make your content work and starting at the very top: setting goals. Learn how to expand your definition of success and think outside the box in how you set, meet, and measure your content marketing goals. Listen in to Jensie's business resolutions and some ideas for your own. Plus, some rambling about why resolutions are important and the one Jensie is making on behalf of her kids. Get a review of the 3 Rs and how they apply to content. Plus, Jensie gives you a content pep talk and hopefully a little inspiration as you get ready to plan your blog posts, podcasts, videos, and other marketing content for the upcoming year.